Raining on Saturday, we wanted to go somewhere cosy. Somewhere with good coffee, a nice atmosphere, and, shelter. Market Cafe feels like a comfy, country bakery in the middle of Prahran. 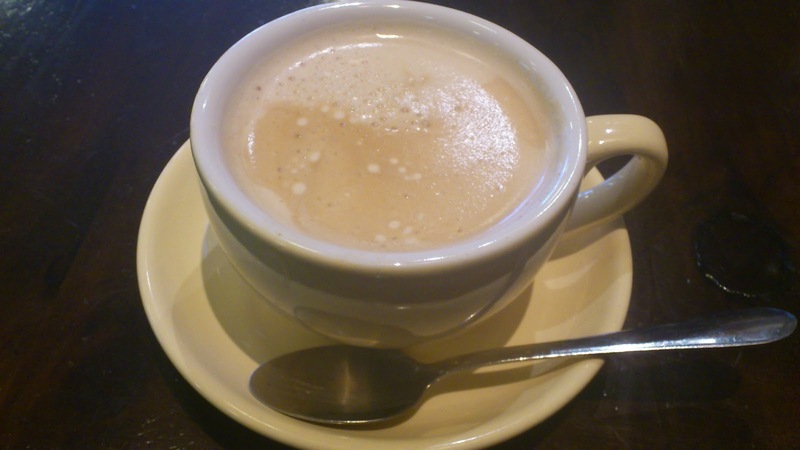 The set-up and clientele are casual, but the coffee is good and the ambience welcoming. 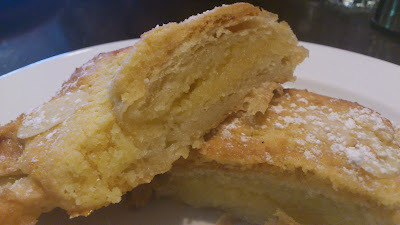 The almond croissant had a nice texture with lots of filling, but it tasted slightly eggy after being warmed up. Still, it was very enjoyable. My friend, who is even more particular about her coffee than I am, commented that hers was ‘delicious’. Mine was good, but perhaps a little weak. We could really relax in this space, catch-up and find pleasure in consuming what was on offer.